Outsourcing is a rising phenomenon in the healthcare industry in which an organisation selects the efficient third party service provider to operate its management and administrative part. Outsourcing of IT solutions in the healthcare industry has emerged as an efficient solution to meet the growing demand for the quality healthcare, and this trend has grown among several organisations. Among the different types of segmentation of Healthcare IT Outsourcing Market, Healthcare providers segment of the End User surfaced the highest share in the market and healthcare payers are expected to have the most significant percentage in the next coming years. The market share is expected to reach USD 50.54 billion with a CAGR of 7.7% by 2024. North America has the most significant share in the Healthcare IT Outsourcing Market due to the advancement of the technology, growing pressure to cut the healthcare costs and also increasing demand for applications management services. The Asia Pacific is expected to have the dominant market during the forecast period. The factors that contribute the growth of the market are the increasing patient pool, growing demand for quality care services, improving efficiency and also reducing the cost of operation for the healthcare providers. Application, the end user segment the Healthcare IT Outsourcing Market. 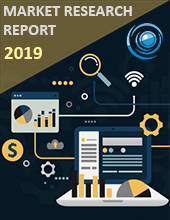 The application is further segmented into providers HCIT outsourcing market, payers HCIT outsourcing market, life sciences HCIT outsourcing market, infrastructure HCIT outsourcing market and operational services outsourcing market. The end user is subdivided into pharmaceuticals, healthcare, biotechnology and others. Many of the healthcare industries are trying to implement the new technological developments to increase their share in the Healthcare IT Outsourcing Market. Asia Pacific is expected to have the most significant CAGR in the market during the forecast period due to the rising penetration of the technological advancements in the healthcare industry. 9.6 Cognizant Technology Solutions, Inc.